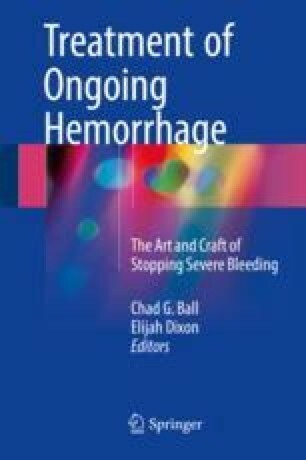 Liver Trauma Hemorrhage: The Bleeding Won’t Stop! The problem with hepatic trauma always seems to be management of the hemodynamically unstable patient with a hemorrhaging high-grade liver injury. More specifically, these injuries can be difficult to expose, temporize, and/or repair for any surgeon who does not make their living in this region of the upper abdomen. These patients often present in physiologic extremis and therefore require damage control resuscitation techniques. Early recognition of their critical condition, as well as immediate hemorrhage control, is essential. Unlike the spleen and kidney, the liver cannot generally be resected in a rapid on-demand basis. Whether you are a trauma, acute care, or hepato-pancreato-biliary surgeon, these injuries will engage all your senses, test your technical skills, require the utmost focus, and demand great teamwork from you and your colleagues.